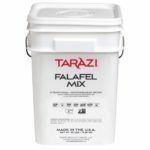 Tarazi Falafel is made of the finest raw materials in the known market. Falafel is a mildly seasoned veggie burger and a great hit among vegetarians. 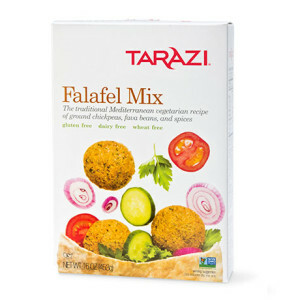 This Mediterranean delight is a high protein food, consists of only natural ingredients, is Kosher Certified, and easy to prepare: just mix – let stand – deep fry or bake. This product is shipped in a one pound box.